If you have family photos displayed in the house, those should come down. As difficult as it is for you to part with them, new buyers need to picture themselves in this space and removing your photos will help. Bonus tip: You don't need to remove the frames, just the photos! You can easily fill the frames with prints to match the season or simple patterned paper that matches your decor. Ask yourself what can you live without until you move to your next house. If you are selling in the Fall, pack away summer clothes and shoes. This helps clear your closet and you won't need those items until you arrive at your new house. Have 2 sets of dishes cluttering up your cabinets? Pack away what you don't need and organize what you do. Ask a friend to come over and give you feedback on your home. You may stop seeing items as clutter, but an outside opinion can help you identify what needs to go and what can stay. Recycle old magazines that have piled up and pack away games and books that are cluttering up shelves. Leaving just a few books on a book shelf gives the appearance of a larger space. Look around, what are you willing to purge or donate? Don't think buyers won't check inside closets, in the basement or in the garage. This is a great time to purge, donate or pack up items that you don't use. Ask yourself what items you need to use day to day, but can be better organized. Your kitchen cabinets, your work station, your laundry room. 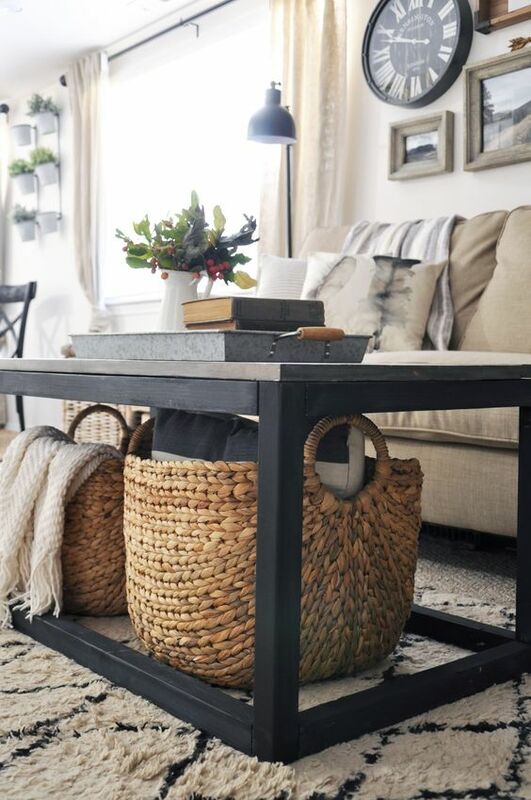 Many of these areas can be organized with baskets or storage boxes that look nice and help you hide items while still having access to them. Finally, have a plan for where you will keep packed items? i.e. your garage, a storage shed, a storage rental, etc. Learn more tips from my blog each week. Happy Home Selling and Shopping!